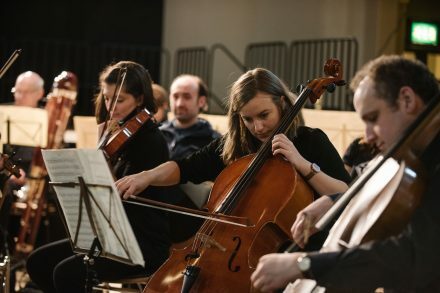 Set up as a chamber orchestra over 40 years ago, the Hallam Sinfonia’s repertoire nowadays extends from the baroque to the 21st century, including large-scale romantic works, and from the mainstream classics to film music and children’s concerts. 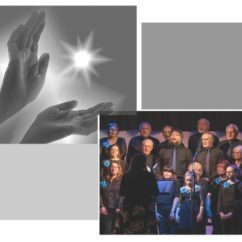 We also enjoy collaborations: we have a partnership with Hallam Choral Society, with whom we work at least once a year, and have performed with other groups in the city. One of our ventures, Passenger Seats, involves some of the audience sitting amongst the orchestra and experiencing the music from within. We have done this once a year since 2015. These concerts are popular with families, but not all the passengers are children! 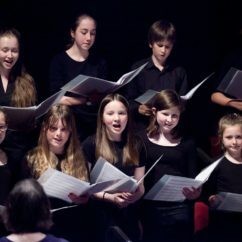 We also, in 2018, gave Sheffield’s first concert for 0-3 year olds and their grown-ups, in partnership with Concerteenies, and having repeated the experience in 2019 expect that this too will become an annual event. In 2018 we celebrated 10 years with our Venezuelan Musical Director Natalia Luis-Bassa, and we have welcomed Richard Laing and George Morton regularly as guest conductors. With Natalia now moving on, we continue to work with Richard and George and are looking forward to meeting new faces and experiencing different approaches to music-making. Over the years the Hallam Sinfonia has worked with many distinguished soloists, including members of Ensemble 360. The most recent of these ventures involved a cycle of Beethoven piano concertos with Tim Horton, which started in March 2015 and complemented a cycle of Beethoven symphonies, the latter reaching its grand finale with no.9 in 2019. Subscribe to our mailing list to hear about our concerts and news.